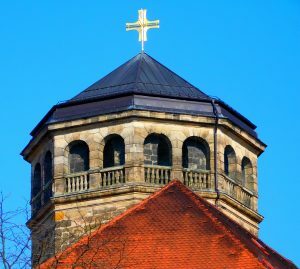 Church Insurance Jacksonville Fl – Strong Tower Insurance Proudly Offers Insurance for Religious Institutions. Strong Tower Insurance takes pride in offering quality insurance for Churches in Florida, Georgia, North Carolina, and South Carolina. If you or someone you know is searching for Church Insurance in Jacksonville Fl, the surrounding areas, or in any of the states mentioned above on behalf of a congregation or other group with religious affiliation, please do not hesitate to call Strong Tower Insurance at 1-800-329-0093. Our office is open Monday through Friday 9 AM to 12 PM and 1 PM to 4:30 PM EST. One of our licensed agents dealing in Church Insurance would be happy to speak with you. Did you find us after hours? Not a problem. Our free information system is available twenty four hours a day, seven days a week. Simply fill out the form and one of our agents will respond to you as soon as possible. Click Here to access our contact form, or click any of the links below to use our quote form:. Church Insurance Jacksonville Fl – Do You Have Hidden Insurance Exposures? Churches and religious institutions are often multifaceted. From luncheons, soup kitchens, and fundraisers to community events and charities, the activities of a modern Church often expand well beyond Sunday service. But some of these activities may mean you have coverage exposures you aren’t aware of. For example, let’s imagine a certain Church operates a vehicle charity. They take donations of used cars and either sell them at a reduced price or give them away to families in need. Additionally, they provide free oil changes to single parents. Furthermore, the Church uses a large van as a shuttle service for charity recipients waiting on their cars. Would the Church’s property coverage or general liability protect them financially for these programs? Call Us Today for Great Rates on Florida Church Insurance. No matter the size of your congregation or institution, Strong Tower Insurance is well-equipped to handle your insurance coverage needs.